The wearable devices market is growing healthily, with IDC analysts claiming shipments for the entirety of 2018 reached 172.2 million, an increase of 27.5 percent from 2017. Fourth quarter shipments alone totaled 59.3 million units driven by the launch of new wearable devices and smartphones ahead of the holiday shopping period. Apple is said by IDC to have shipped 16.2 million wearable devices during the quarter, giving it a market share of 27.4 percent, up from the 13.3 million shipments and 29.6 percent market share the year previously. 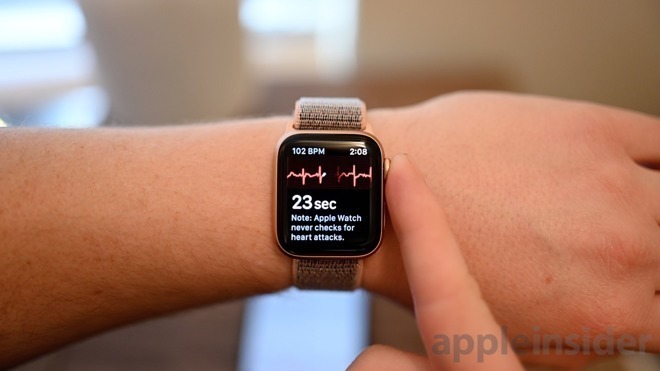 While Apple’s wearables growth is up 21.5 percent year-on-year according to the data, the faster overall growth of the market means Apple is losing a bit of its market share to its rivals. The Apple Watch is believed to be the main contributor to the total, with 10.4 million units shipped. According to IDC, the Series 4 model has been “off to a very strong start,” with growth expected to continue as more consumers and healthcare organizations adopt the new version. The shipments of the Apple Watch are considerable enough that, if isolated away from other Apple products in the category, it still outpaces the second-place Xiaomi on its own. Xiaomi saw growth to 7.5 million shipments in the quarter, with Huawei and Fitbit in third and fourth place with 5.7 million and 5.5 million units respectively. The smartwatch category alone grew 55.2 percent year-on-year for the quarter, accounting for approximately 34.3 percent of the market in the period. Wrist bands made up 30 percent of the market, while ear-worn devices saw 66.4 percent year-on-year growth to capture 21.9 percent of the market.